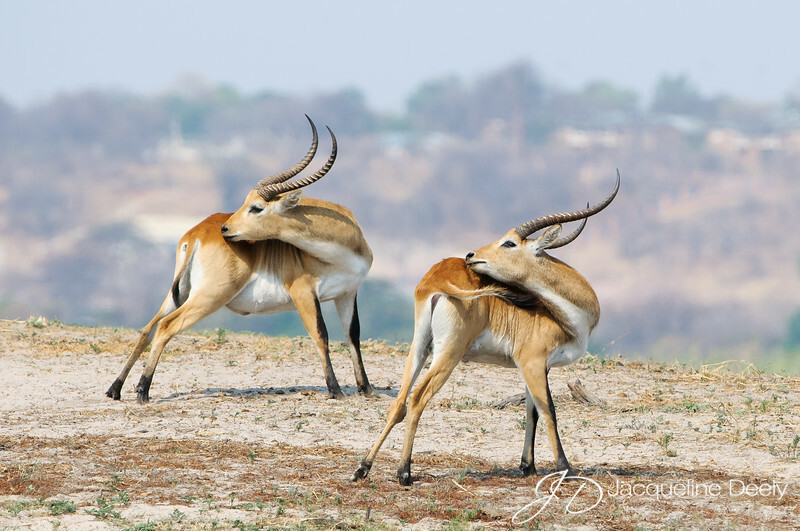 This unique image of two male red lechwe antelope both turning their heads at the same time was taken from a boat on the Chobe River. I am honored to have had it selected from 2,400 images as one of the top 250 in the 2013 North American Nature Photography Association's Annual Showcase and featured in their beautiful publication "Expressions". It was also included in a beautiful presentation accompanied with classical music “Nature and Music: Jacksonville Symphony Celebrates Nature Photography” at the magnificent symphony hall. In October 2011, I made my very first visit to Africa as a volunteer with Cheetah Conservation Botswana spending a month in the northwestern part of the country. I concluded my adventure with a 10-day photographic safari through northern Botswana’s best wildlife viewing areas including Chobe National Park, where I took a boat tour on the Chobe River. This is a fantastic way to see wildlife up close you would not typically encounter in a safari vehicle. Chobe is a must see if you plan to visit Botswana. It is said to have the highest concentration of elephants today, numbering around 70,000. Other wildlife you will encounter are; hippo, buffalo, zebra, lion, hyena, impala, crocodile and the red lechwe antelope. The red lechwe is among 19 species of antelope in the park. The long, spiral–structured horns are vaguely lyre-shaped and only found in males. The hind legs are somewhat longer in proportion to ease long-distance running in marshy soil where they eat aquatic plants. They use the knee-deep water as protection from predators with their legs covered in a water-repellent substance which allows them to run quite fast through the water if needed. Very well done at capturing the 2 lechwe in almost identical poses.